Remember our robots from a few weeks back? Well, Red Ted now ADORES robots, so when we needed some more thank you cards, I thought these could be a nice easy craft for him. The key for this age group (3yrs) is to help them see what the “end result” will look like, so I find, cutting everything out and laying it in front of him, helps him see where things go. With older children, they can do all the cutting themselves! The Book – More robots! The Robot and the Blue Bird. If you are familiar with the Oscar Wilde Tale of the Happy Prince, then you will either love or hate this book: Love: as it is a “modern take” on the Happy Prince. Hate: as you may perfer the traditional approach. Either way, like the orginal story, it is a story of friendship, love and sacrifice. 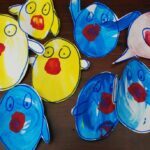 A story to provoke thought and discussion with younger children. The Robot (Happy Prince) is old, rusty and has no heart. He is on his last legs on the scrap heap when a little blue bird lands on him and cannot go further. The Robot provides shelter where his heart should be. This gives him the energy to walk to the south, where it is warm enough for the little bird. Once there, he exhausts himself and dies. He stands there to this day. 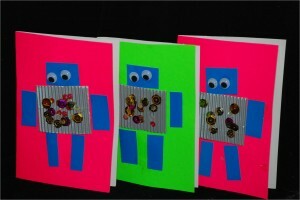 Very straight forward – with some card, googly eyes and sequins we made our robots. 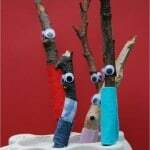 Materials: Card stock for final card, corrugated card (or similar, eg you could use some foil) for body, card for head, arms and legs, googly eyes, sequins (or similar) for buttons, glue, scissors. 1) I lay everything out so Red Ted could see where things go and then he got sticking. Interestingly the arms turned into legs and the legs into arms. No matter. I made enough for four cards. Red Ted only wanted to make 3. Fine. 5) Sit back and admire your work! 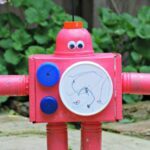 Kids Get Crafty – Robots! I love these Maggy! 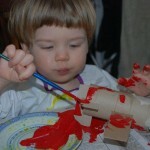 My son also loves robots (he’s obsessed actually) and would love to do a robot craft. Oh perfect!! 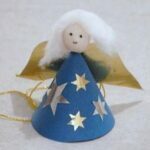 This such a fab “quick” craft too! Enjoy! The robots are cute Maggy! Sometime back we read the Robot and the bluebird book. I liked the way author had bought life to the Robot. 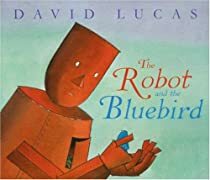 Especially I liked the place where the author says the robot felt his heart when the blue bird flapped his wings in him. Good book! Thanks for sharing the book. Those are so cute. They make very cheery cards. I love all the bright colors. They turned out great! The robots are great! What a wonderful way to reuse buttons. I love the robots! I’ll have to remember this one! I love the robots and will try it soon. 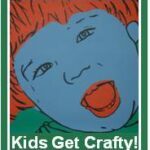 Thanks for hosting the crafty linky party! I love the robots! I still love this! Thanks for linking to Read.Explore.Learn. Awesome idea- we’ll have to try it! 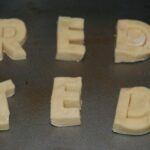 I just did letter R at preschool–these would have been perfect! Thanks for linking up to Beyond The Picking Fence. Love the robots! Thanks for hosting. What a great link up! I’ll be back more often! I hope our outdoor fort building works this week. 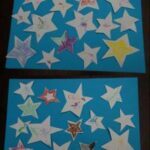 It isn’t necessarily “crafting” but again, it is! I host a link up on Wednesdays featuring recyclables asking folks “What Would You Do With It?” Stop on by and check it out! I bet a lot of your crafts could be linked up. The robots are adorable :). Great to have you come and stop by! Look forward to seeing you again!! Perfect! 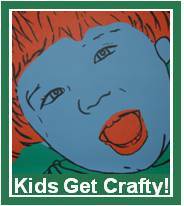 I do think a lot of our crafts a VERY suitable for older children – you just let them do it all themselves with less help!! Have fun! Our Son came home from school tonight and told us it was one of his friends birthdays tomorrow. 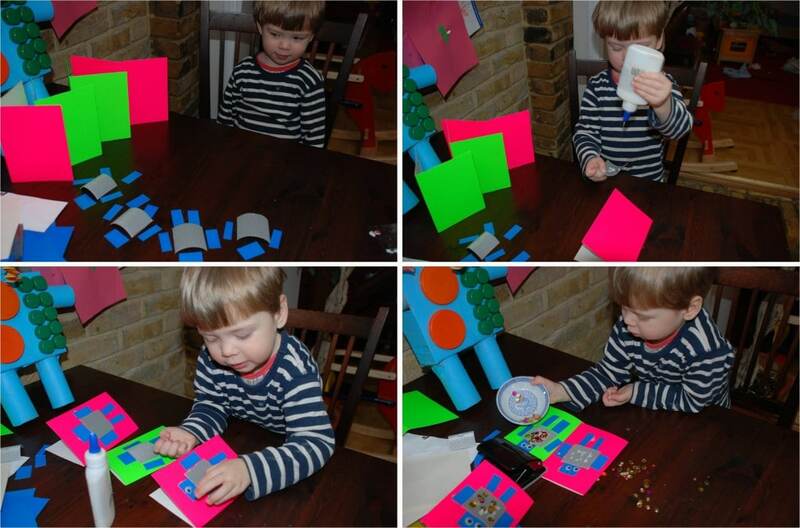 He has spent most of the rest of the night hand making a Robot card! So much better than any bought card!